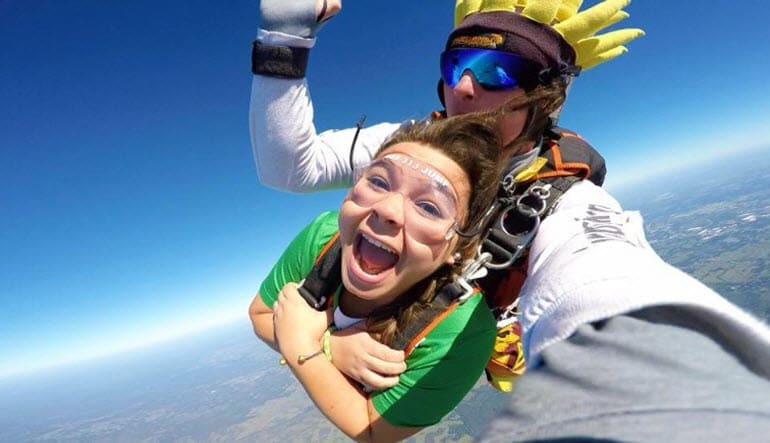 Go skydiving from the highest-altitude on this side of Florida! Jump with USPA-licensed instructors from 18,000ft near Tampa Bay. See beautiful coastal views. After a brief ground training, you’ll embark on one of the purest forms of adrenaline there is – a tandem skydive from 18,000ft in the air. 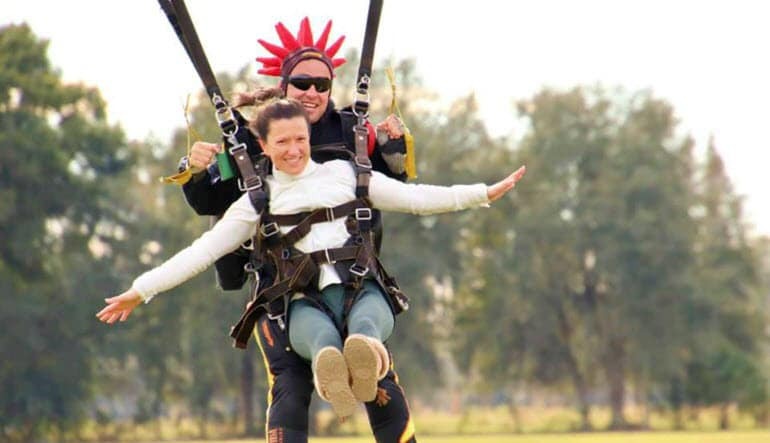 The Gulf Coast of Florida is a world class location sought out by skydivers across the globe. From 18,000ft in the air you’ll see white sand beaches and crystal clear ocean water that stretches for miles and miles. With some of the best tandem instructors in the industry, this dropzone should be your top destination if you have the courage to jump from 18,000ft. Immerse yourself in the exhilaration of freefalling as you experience reaching speeds of up to 120mph. At roughly 6,000ft, it’s time for you or the instructor to pull the chute and then enjoy a gentle ride back down to earth. 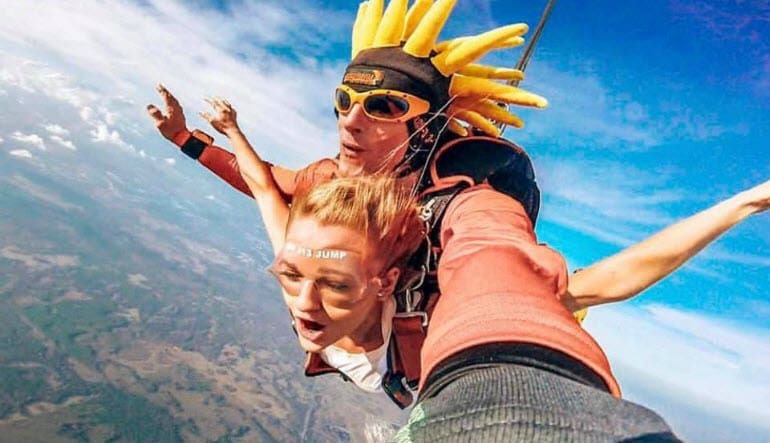 Book this high-altitude jump today! Was a perfect way to make my first skydive! Loved it!! 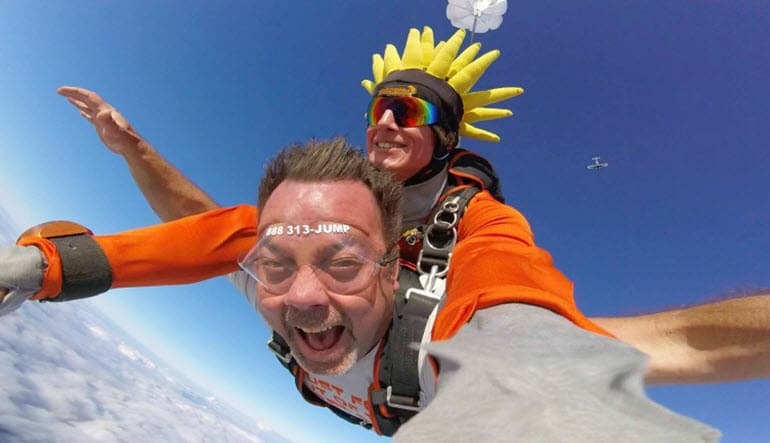 The staff at skydive Orlando, Tampa was very professional. However, what I enjoyed most the pleasant demeanor and jovial attitude that they had. That kept us relaxed. Thanks for the rush of a lifetime! Great service, awesome time! Thank you!